A non-refundable deposit of £75 is required with the balance payable 6 weeks prior to arrival. Any bookings 8 weeks or less will require full payment when you book. Comfortable spacious lounge with plenty of seating with a free view TV and separate DVD player. There is a pull out double bed situated under the seating area. Free standing dining room table with 4 chairs, there are two stools located in the main bedroom for additional seating. Very spacious Master bedroom with mirrored double wardrobes, TV and plenty of cupboard space leading onto an on-suit WC and basin. 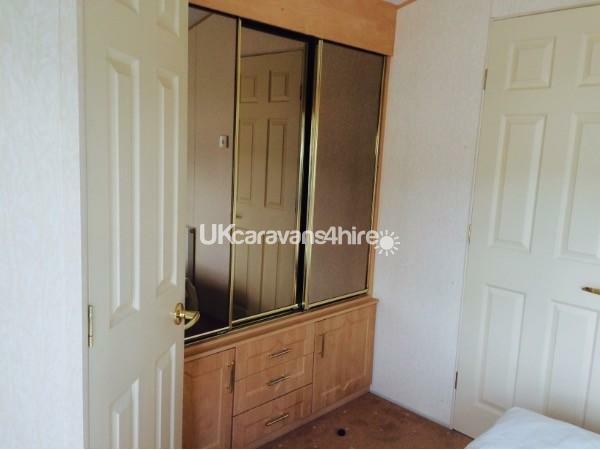 Twin Room with two single beds and good cupboard and wardrobe space. There are pillows and duvets for all the beds. Sheet, pillowcases and duvet covers are not provided. You can bring your own or hire them on site. 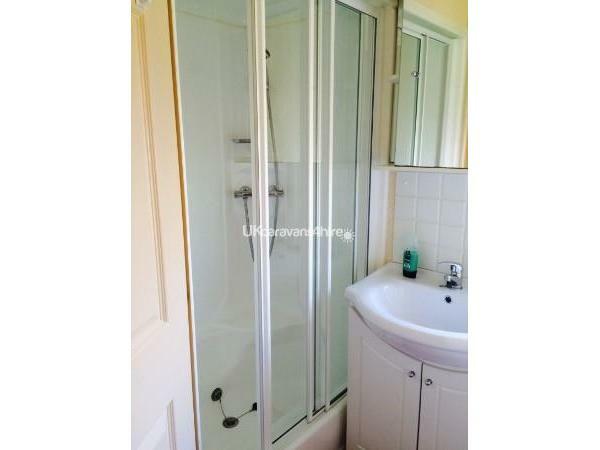 The bathroom has a shower with sliding doors, WC, Wash basin, mirrored cabinet and vanity unit for your toiletries. Doniford Bay is a small friendly site for having fun and or relaxing. There are plenty of places to explore in the surrounding areas of Somerset. On site there is an indoor pool and outside pool with a 4 lane slide. There is an outdoor all weather muti sports area with various play area's around the sites for the little one's. Also an indoor soft play area, children's clubs and a showbar with entertainment. You will need entertainment passes for some of the facilities which can be purchased from reception. There is a cafe bar, traditional fish and chip shop, hire shop and a convience shop. Watchet is ten minutes down the road by car it has a mariner harbour, museum and shops also if you like fishing this is the place to go. Dunster village and castle is a must see with shops and cobbled pavements. Minehead is approx 15 minutes away where there is a sandy beach,lots of shops and places to eat and have a coffee. There is bus service which calls into the site that takes you to MInehead. Timetable is available from reception. The caravan is available from 4pm on day of arrival and vacation by 10am on day of departure. Maximum 6 people including children are allowed, if this is not followed and more people are found to be using the caravan they will be asked to leave immediately and no refund will be given. **** If any of the highlighted are abused you will not get your refund back. This is a family caravan and we would ask you to respect it as you would if it was your own. Please leave the caravan as you found it and remove all rubbish, there are plenty of bins around the site. 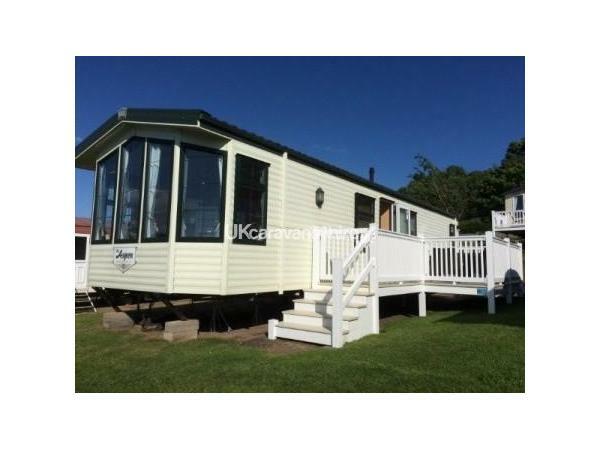 Me and my son have just spent the week in this gorgeous caravan, Lovely and clean, and the decking is great to sit out on. We enjoyed our holiday so much that we have just booked next year,for two weeks!! Thank you so much,my son cannot wait to stay in it again. We spent a week in this superbly equipped holiday home with our 2year old grandson and really enjoyed ourselves . 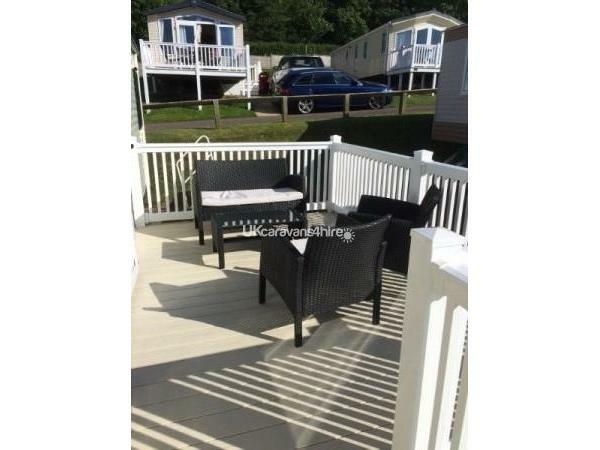 The caravan is very well equipped and also provides plenty of space for the visitors clothes , foodstuffs etc. . Having the decking area certainly gives an extra enjoyment factor. Thanks to the owner , Julie ,for looking after our needs so well . 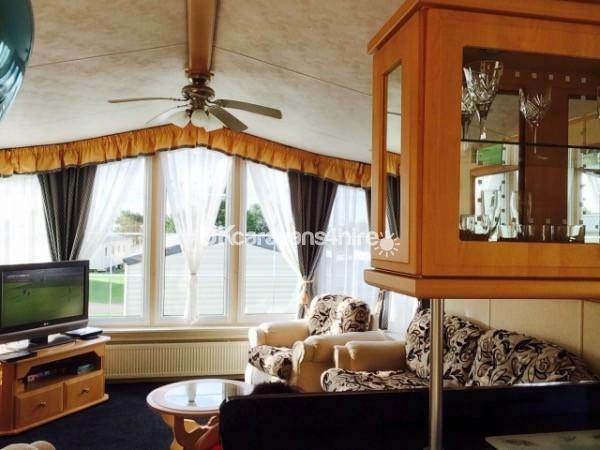 This is a beautiful & very clean caravan.This caravan made our stay extra special & the owner Julie provided excellent customer service.My family had a lovely stay, enjoying all the great amenities on and around the site. Will definitely go back. My family had a lovely stay, enjoying all the great amenities on and around the site. Julie who I dealt with was very helpful and replied very quick to our emails. The caravay itself was lovely, very cosy and clean. This is a beautiful & very clean caravan. Mattresses, duvets, pillows, toilet & shower were spotlessly clean. Our party was 2adults 1oap and 2children age 6&11. We all had showers back to back, with plenty of hot water for everyone. Beds were very comfortable. Central heating was fantastic heated up in next to no time. 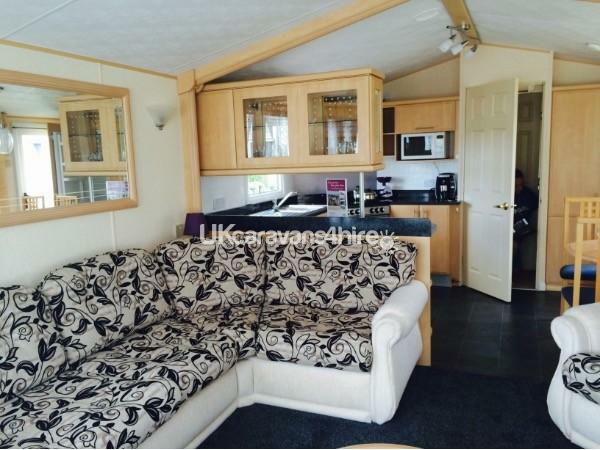 This caravan made our stay extra special & the owner Julie provided excellent customer service. We didn't use the site facilities much as we were out & about, however it was a lovely site with plenty to do. Would definitely go back.